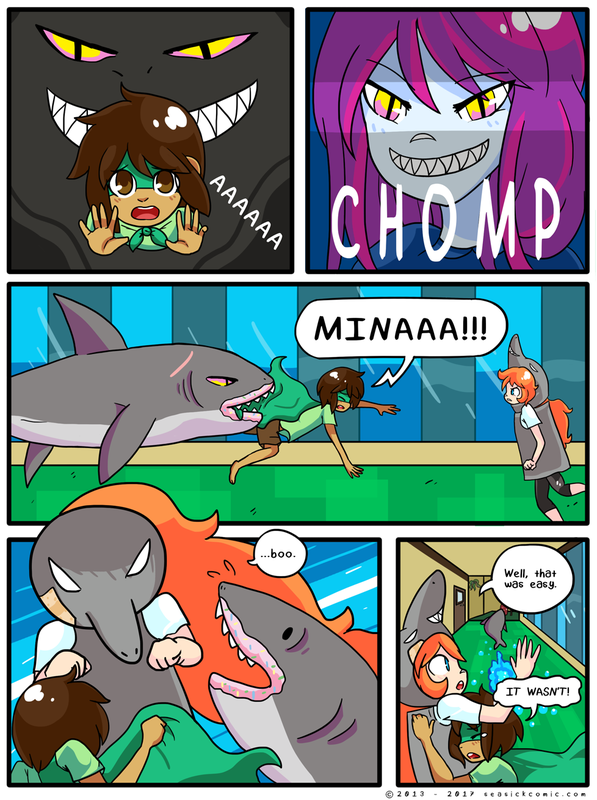 chapter-one-page-sixty-six – Seasick – The Underwater Adventure Comic. Updates Fridays! on March 20, 2017 and modified on March 20, 2017. Woah, that was close! Everything’s fine now though…? Thanks for reading Seasick today! See you twice more this week!